“One can have mental and technical strength, but have little physical strength and lose. Sometimes none of these even matter. In my youth, in the 7th year of the Taisho era, there was a contest between a foreigner, who was a wrestler, and a Japanese judo expert. There were not too many individuals who belonged to the Kodokan at this time. The wrestler was quite skilled and handily defeated numerous others, but this judo expert was able to place the wrester in an arm-lock and lay him on his back. The audience was cheering for the judo expert, but something happened. The wrester just got up, raised his left arm and shook the judo expert off. It was no contest. And I have heard many other similar stories. If there is too much difference between the physical strengths of the opponents, it would be similar to me twisting an infants arm. Especially nowadays when non-Japanese individuals train in the martial arts, it is important for individuals to train hard in technique, physical strength, and especially mental strength. 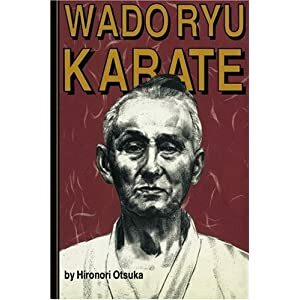 Also, one must consider the difference in weight of participants when a Japanese and non-Japanese engage in a contest.” – Hironori Otsuka, Wado-Ryu Karate, Pages 31 & 32. I feel there are a few interesting elements to this. Firstly, there is the acknowledgement that a big difference in physical strength can cause problems. Secondly, the discussion on how the greater size and strength of “non-Japanese” martial artists can be an issue when they fight with Japanese practitioners is also interesting. I’ve not looked into this, but it is my assumption that the stereotypical size difference is maybe not as produced as once it was? I do find this interesting and I was wondering if anyone else aware of other examples, from around that time, where the strength of “non-Japanese” people is discussed in relationship to Japanese arts? An interesting point. I'm not aware of any similar examples based on race, although I recall Funakoshi's comments with regard to the differences between Itosu and Azato. Funakoshi seemed to imply that Azato's skill and speed made up for his lack of strength vis a vis Itosu, however it is worth recalling that Itosu could seemingly just shrug off body blows (which is a pretty useful attribute). Perhaps one reason why these comments are not widely 'known' is that they are the direct opposite of the common martial arts mythos: that by training you will be able to defeat the bigger (and stronger) guy. Despite the evidence (in competition fight weight divisions for example) to the contrary I think there are some people who still hold on to the belief that skill is all. The idea of the physical superiority of foriegners (most usually expressed towards white Europeans and Ameircans but also Africans) is indeed a big cultural complex in Japan and especially so in the martial arts world where the uncomfortable (for some) truth is that physical size and strength do play a big part. Clearly there is an element of truth in that there have been measurable differences in the average physique of Japanese people when compared to certian other nationalities or ethnic groups but the Meiji restoration and defeat in world war 2 played a massive part in shaping the psychology of this idea and blowing it out of proportion. Even today it is still often used as a convenient excuse for why Japan has been beaten in this sporting event or other. From my own personal experiences living in Japan I can say that the differences are much less pronounced than they are often thought to be. I am 6ft 4 and 16 stone (194cm, 100kg) and so even in my native England am somewhat on the larger end of the spectrum but still regularly trained with guys of equal height and weight in Tokyo and Hiroshima. And some of the Hiroshima university Judo club guys were bloody massive! Perhaps the most stark difference I notice though is the disparity between male and female height. Biologically men will always average out taller than women in any population but the gap is especially pronounced in Japan. My wife for example is 5ft 8 (170cm) and is considered tall in her native country. I have a female English friend who is a semi pro boxer in Japan and it is clearly apparent that she towers over most of her opponents and sparring partners. As for examples of this size/ strength gap affecting the martial arts in the early 20th century, Clearly the fights of Motobu Choki against western fighters in Osaka are another example from the time although this story is lauded as an example where it was overcome. The alleged ninja master Fujita Seiko also claims to have beaten a Russian strongman in a contest but the claims about his life are tenuous at best and pure fantasy at worst..
Slightly later on there was the victory of Anton Geesink in the 1964 Olympic Judo which in Japan is still popularly considered to be a victory for foriegn size and strength over Japanese skill and determination although that is more a case of people giving in to the inferiority complex as an excuse and the reality is Just that Geesink was the better man on the day. Azuma Takashi, the founder of the Daidojuku is also widely claimed to have developed his own style and mixed in judo to his karate as a result of being unable to beat foriegn competitors using striking alone (there are actually well documented matches where he deliberately used illegal grappling techniques in kyokushin contests against foriegn fighters and the referees let him get away with it!). Well that is a difference between karate and jujutsu. Otsuka used a wrestler and a judo player examples... but I have heard many other stories that went the other way. I have seen a skilled jujutsu player take a part a larger person.... maybe not a 100 kg difference but a definite size difference of maybe 25-50 kg. Judo and jujutsu uses the weight and position of your opponent against them. Karate is usually more about your strength against theirs… strangely enough except in Wado, I find it kind of inconsistent that Otsuka would say this, especially since he was much smaller than many of his own students, but there it is.... I understand the point and agree to a degree… but skill and technique can compensate for quite a bit of variance IMO. Actually, there is a great deal of strength training among the serious BJJ competitors. Where leverage and skill are equal strength wins most of the time - in BJJ anyway. Of course, at this point we're looking at the competitive side of the arts. There are some vital targets that do not require much strength to attack, but speed and accuracy are necessary. One may be able to absorb body blows, but few can absorb eye strikes. However, those are "against the rules". The venue does have a bearing on the discussion. I must agree with Stan and suggest that vital point striking is critical if you are to over come a larger opponent in a self defence situation. I not sure the situation would arise in a competition arena as weight catogories are standard format for most systems. Surely the same might be said for the more senior practioners having to over come a younger and fitter attacker. Not sure I agree with the vital point striking, in my view this point striking is tailored to a specific set of body areas that are known to cause high pain reflexes. This is all well and good in a monitored environment of the class. However when faced in a pressure situation, where the heart rate rises and your fine motor skills are diminished, and your mental focus is not as you want it, because this bigger guy is bearing down on you with his power and aggression. At that time I don't feel you will be easily able to strike a vital point with enough effort to stop them / slow them. I think in that situation other tactics, will be of better use. When I mention vital points I'm referring to the eyes, throat, groin and knee and not to highly pinpointed nerve centers. I guess I should have worded it differently. I'm thinking about precision striking to strategic targets - still thinking in terms of gross motor skills (e.g., the bunkai for the chamber and knife hand strike being a deflection and then strke into the neck). Striking to the eyes is not always easy to train as our training partners don't really care for being on the receiving end of such training. But, with training, eye strikes are not fine motor skills. We trained them in aikijutsu and one of the motions is in Shotokan's Heian Yondan. So, if you practice the Hiean/Pinan series you've probably already trained the motion a thousand times. Sorry for the confusion based on my wording. Unfortunately, my German translation of Othsuka´s book does not seem to entail the above mentioned passage (the original book is from 1970?). But it seems obvious to me that in a sophisticated martial art one has dealt with this question (having a stronger, taller....opponent). Thus, Othsuka´s reasoning refers (primarily) to sports competition (´contest´), not to budo karate (self-defense). If sports karate is concerned, I can remember an interview with Asai who is not very tall. He had to develop technical skills against tall fighters like Kanazawa, Enoeda, Shirai (they had at least normal European size). Stan, what technique in Heian Yondan do you mean? It is not obvious for me. But as is well-know Itosu took out the nasty stuff from Heian/Pinan kata since the Japanese wanted children to practice them. And it is no good to teach a child to destroy an eye or cut out throat. So he made seiken even if nukite is the application,e.g. yoko-barai. If one has to obey to rules physical strength or superiority is of great importance as we all know. if I could take a knife in a rugby game to kill my physically superior opponent his advantage would be lost. Budo does not know rules, so forget the cage fights of mma. What would you do if you are attacked when, say, 65 years old and physically inferior? That´s a match for young athlets. Othsuka says somewhere in his book that sports and budo should be equl in mind. I don´t know what he meant by this. They are different. The sports man wants to win, the budo man/woman does not want to lose his/her life in a way - taking into account the a Samurai´s attitude is not to fear death! In Heian Yondan you have the side kick/back fist followed by an elbow strike done on both sides. You then turn into a position that appears to be an "upward block" with the left arm and a "knife hand" palm up with the right hand followed by a front kick and a downward fist smash (movements 11-13 in Nakayama's Best Karate volume 5). Looking at this sequence in self defense scenarios I took it to be a defense against a front hair grab. With the rising arm you secure the attacker's hand so he doesn't rip your hair out. Depending on which arm he grabbed you with and which of his sides is foward the palm up knife hand could be a palm shot to his elbow if he grabbed you with his left or a horizontal eye strike if he grabbed you with his right (I think I got the mirrored sides correct). This followed by a low front kick to either knee or groin and finishing with the downward fist smash either to his face or colar bone (as the kick should have lowered his posture). Anyway, that's one of the bunkai I've worked up for that sequence. I am still exploring it. In bunkai we have some clues left by the system developers, but it is difficult to definitively say what their original martial intent was with each sequence of moves. The bunkai that I described does fit within the martial possibilities of the sequence. In aikijutsu we passed the right hand in front of our body like a wing block, lifted the hand and passed it back in front of our face, then turned it palm up and extended it at head level. One of the posible applications is one or two deflections as the arm passes in front of the body and the extension can be a horizontal finger tip rake to the eyes or a finger thrust into the cough point of the throat (another possible target in the above detailed bunkai for the sequence in Heian Yondan). I’d agree that I think the “stereotype” does not really hold up to close scrutiny (as most don’t). When I visited Japan I was aware that I was a little bit taller / broader by comparison than I would be considered in the UK, but it was not anything of marked significance. Well that is a difference between karate and jujutsu. Otsuka used a wrestler and a judo player examples... but I have heard many other stories that went the other way. I have seen a skilled jujutsu player take a part a larger person.... maybe not a 100 kg difference but a definite size difference of maybe 25-50 kg. Judo and jujutsu uses the weight and position of your opponent against them. It is the mix of technique, mental strength & physical strength, when contrasted with the same qualities in the opponent, that will determine who is most likely to be victorious. So if a person has far better technique and is mentally stronger, but is physically weaker, the first two qualities can compensate for the later. However, I would also say that if I person has far greater mental and physical strength than their opponent, then that can also compensate for a lack of technical refinement. Not something martial artists like to hear at times, but a fact nonetheless. I’d totally disagree that karate is usually more about using your strength against your opponent’s. That’s never once been my experience of karate (of all styles). I find that karate’s teaching relating to good technique, body mechanics, efficient power generation (which is overwhelmingly a mater of good technique), understanding positioning, etc, etc, are very logical, scientific, pragmatic and efficient. Karate is very far from being all about the application of raw strength and has just as much technical depth as Judo, Jujutsu etc. Any good system will seek to not to directly resist strength and momentum; but to yield, redirect and seek the path of least resistance. I don’t think these are qualities are in any way unique to Judo or Jujutsu. While it’s good you have a strong belief in Wado, I think your remark that Wado is the only karate system that is not strength against strength is disingenuous and inaccurate. My own background is Wado, but I have also trained under and alongside skilled practitioners of Shotokan, Shito-Ryu, Shukokai, Goju-Ryu, Kyokushin, etc and found that they all have highly developed technique and tactics. Sure there maybe a little differance in approach in certain areas, but they are all highly developed and none rely on brute force or strength against strength. If that has been your experience, I would say you have been very unfortunate with the people you have met from other styles. One of the great joys for me in karate has always been seeing the merits, efficiencies and alternate approaches to achieving that efficiency that other styles offer. I don’t think any one style can uniquely claim to be more efficient than the others. As regards it being inconsistent for Otuska to say this, I don’t see that myself. His incredibly high skill level would be more than enough to compensate for his small stature when facing any less skilled, but physically stronger, opponents. The point he makes is not that strength is superior to technique, but that strength and size play a part which can't be ignored. He also says that that part can be overcome by having sufficiently greater technical skills (which is the point you make in that last line and I’d totally agree with that). I think what Otuska says is honest and entirely accurate. I also think his advice to ensure we “train hard in technique, physical strength and especially mental strength” is totally valid and the best way to ensure we are highly developed in all the areas that will help us achieve victory. Having been lucky enough to do some training with fulltime Judoka, it’s the same with them. Yes, they have highly developed technique, but they do not take the view that technique renders developing one's physical strength unnecessary. They know that superb technique, and extremely well developed physical condition, and bucket loads of “heart” are what will lead to a person reaching their full potential. As Otuska says, we need to train hard in technique, physical strength and mental strength; because “if any of the three is too weak, then it will serve as the downfall of the individual”. All good training, in whatever art, should develop the individual physically, mentally and technically. The confusion comes from people making sweeping statements like "you don't need strength to defeat an opponent".Gives some the impression they just need to learn the technique and not train to hard in developing it or anything else. The confusion comes from people making sweeping statements like "you don't need strength to defeat an opponent". Gives some the impression they just need to learn the technique and not train to hard in developing it or anything else. I’d agree with that. While it can be totally true that person with highly developed technique can defeat a stronger but less skilled opponent – so in that sense you don’t need strength to defeat an opponent – that’s not the same as saying strength has absolutely no bearing on the outcome. I do like Otsuka’s “three strengths model” as I feel it accurately covers the deciding attributes, their relationship to one another, and their relationship to the opponent’s corresponding attributes. thanks for the explanation. I looked at every move in pinan/heian yondan in shotokan, wado and shito ryu. Also the first movement in pinan yondan could entail a (gyaku) nukite: s.o. wants to grab your shirt, you deflict it and simultaneously smash a nukite into his throat (the same as in heian nidan, shotokan, you force the attacking arm from the outside inwards and attack the head). And still the technique before hiza-geri, you may can do nukite before you make the face acquainted with your knee). Thanks for your inspirations. Imagine the outside to inside horizontal movement to the temple, but the opponent moves his head back, so the finger-tips rake horizontally across his eyes. Oops! He moved his head. Of course, the strike can intentially be a finger tip rake across the eyes too. In the hair grab scenario, the left hand grabs the hand that has your hair. Whether you strike to his elbow or throat in an upward motion or his temple, aorta or eyes in a horizontal motion this strike should ease his grip on your hair allowing you to take his arm down as you kick low to either of his legs or groin. This followed by the back knuckle smash once he's been lowered by the kick. The whole thing could go in a couple of different directions as the scenario unfolds. You can imagine a specific hair grab, but the variable of which arm he's grabbing with can change the target of the reaction. The combination can be applied with either hand grabbing, but the targets may change based upon that. Also, if the attacker has just grabbed you and its a friend, you probably don't want to rake the eyes. If the attacker has a knife and his secondary strike will gut you, then you probably want to react very quickly and very violently and probably could justifyably use lethal force. Even knowing you are training in the "self protection" context, there are variables that change the severity of the how the technique is applied.